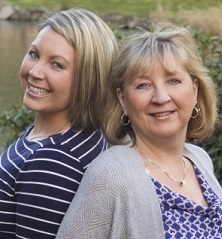 Kimberly Marcellus and Sara Abell are a Mother/Daughter team with over 30 years of experience and a great knowledge of the latest technologies to help you sell your house, or find your next dream home. We are experienced with residential, investment properties, and rural farm or forest property. We still believe real estate is a personal business, and we deliver top notch service in order to earn your repeat business and referrals. From the first time buyer to the million dollar home, we know how much it means to you, and every transaction is as important to us as it is to you! Call Kimberly or Sara now and make your best move ever!